The generally accepted definition of affordable housing is for a household to pay no more than 30% of its annual income on housing. Families who pay more, are considered cost burdened and may have difficulty affording necessities such as food, clothing, transportation, and medical care. Lack of affordable housing in a neighborhood can result in the clustering of populations that are impoverished and are less likely to have access to quality food, recreation, and jobs. The concentration of poverty may threaten adjacent property values, but these areas also provide the greatest opportunity to improve the quality of life for struggling residents. 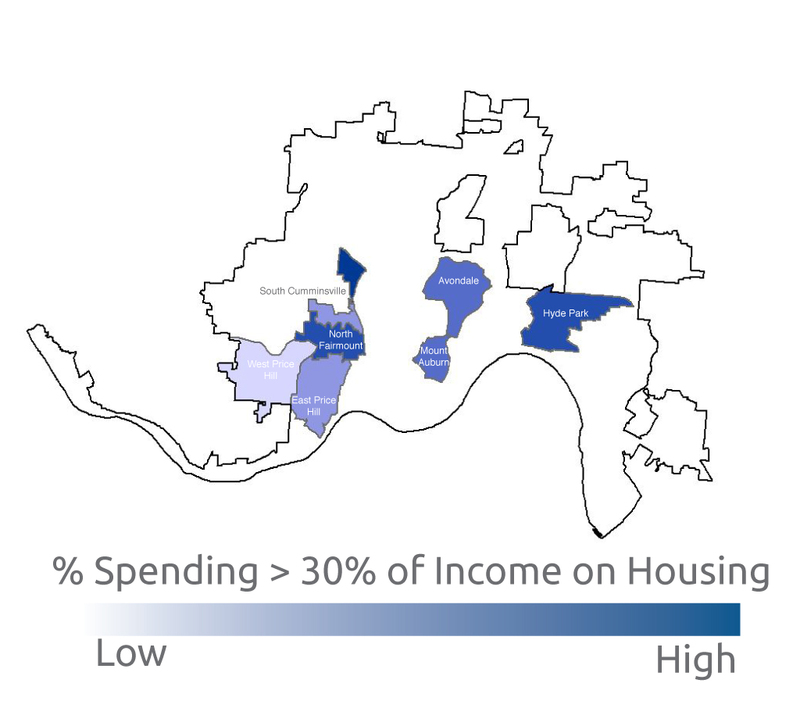 It is interesting to note that Hyde Park, a neighborhood with a high median income and the lowest vacancy rate, comes in second place, with 32% of households spending over 30% of their annual income on housing.